Let’s talk about our feet today. That’s right, our feet. We runners think a lot about our feet, since the littlest aches and pains can turn a good run into a miserable, am-I-done-yet experience. Up to 80% of all runners experience some degree of injury each year, and a majority of the most common running injuries either affect the feet (plantar fasciitis, Achilles tendonitis) or are caused by problems with the feet (such as IT band syndrome or runner’s knee). What is it about feet that can cause so much injury? Since feet provide the base for propulsion, landing, and shock absorption in running, anything wrong with the feet will affect the muscles and joints used in running and our overall biomechanics. Common running knowledge upholds that overpronation and underpronation (supination) are some of the major causes of running injury. However, some research indicates that pronation and supination are not the direct causes of injury and that foot type ultimately does not matter. Whether that hypothesis is true or not, overpronation and underpronation are still something which all runners should know about, as it can matter when it comes to improving your running form, picking out the right shoes, and preventing future injury. How you pronate your feet matters for two significant reasons: picking out the right shoes for you and understanding your risk of potential injury. These two are interconnected, of course, as running in the wrong pair of shoes can increase your chances of getting injured. How do you know if you pronate or supinate? Look at your feet and how they land. If you land with most of your weight into the insides of your feet and your foot rolls in (so your ankle points out), you likely overpronate. If, like me, you land on the outside of your foot and point your ankle in, you underpronate (supinate). If you don’t do either, you are likely a genetic miracle with perfect feet. Typically, overpronators tend to have a flatter arch, while supinators will likely have a high arch. How do you know if your feet are highly arched? Simply look at how your feet imprint on the bathroom rug or a towel when wet. If most of your foot shows up in your footprint, you have flat feet. If you see your toes, ball of your foot, and then just a small outside line connecting to your heel, you have high arches. If a bit of your foot does not appear in your footprint, you have a moderate arch. However, arch height is not a completely accurate indicator of overpronation or underpronation. Some people with high arches overpronate and vice versa. Arch rigidity also factors into pronation; the more rigid your arch, the more likely you are to supinate, while the less rigid your arch, the more likely you are to overpronate. Some degree of pronation is normal and essential for shock absorption. With normal pronation, you push off evenly with your entire foot. Overpronation occurs when your foot rolls in more than it ideally should. The cause of this is often ankle instability, as overpronation puts a significant amount more stress on the inside of the ankle. Overpronation can lead to injury through poor shock absorption and improper running form, as well as putting you at risk for runner’s knee, shin splints, plantar fasciitis, and Achilles tendonitis. Supination happens when your foot does not pronate enough. Supination thus concentrates most of the load onto a smaller portion of your feet and often supinators do not push off enough with their big toe (as you should be doing). If you supinate, you likely notice this in even your normal walking stride. I, for example, will actually stand on the outside of my feet with my arches and big toes off the ground (I’m constantly working on this). The uneven distribution to the outside of the feet puts supinators at a higher risk for IT band syndrome, plantar fasciitis, and Achilles tendonitis. First and foremost, as with anything in running, be careful not to to do too much too soon as that can lead to injury! 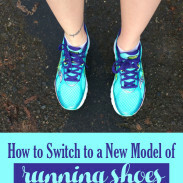 Rather than immediately forcing your feet into a different position, focus on choosing comfortable shoes for your foot type and making small modifications to how you run to gradually improve your biomechanics, as I’ll discuss further below. If your overpronation or underpronation is significant enough to cause discomfort, injury, or poor running form, improving your running form and strengthening your feet and ankles will also help you prevent injury and run better. One of the easiest and most effective improvements you can make to your form is to take shorter and quicker steps as you run. This will prevent overstriding, which can exacerbate any biomechanical problems due to overpronation or supination. Strengthening your feet (especially your big toe) and your ankles through calf raises, barefoot yoga, single leg hops, and plantar and dorsal flexions with a resistance band will also alleviate any major problems from overpronation and underpronation. And now, since you listened to me ramble about technical running science-y stuff for the second day in a row, here’s a picture of Charlie napping to make up for it. Do you overpronate or underpronate? What running shoes work best for you? Do you just want to take a nap like Charlie? —-> yes. I was told that I overpronate… While I got a gait analysis and was fitted for shoes which had corrective properties, I noticed more aches and pains with these “corrective shoes”. So I switched back to a neutral sole in the Nike Pegasus and haven’t had a problem since. One thing I do notice due to my overpronation is calf tightness and a propensity for sore arches. And yes… if I could nap like Charlie right now I’d love that. I’m glad you found the right shoes for you! While I’m by no means an expert, I sometimes think that too corrective shoes can teach our feet to stay that way! 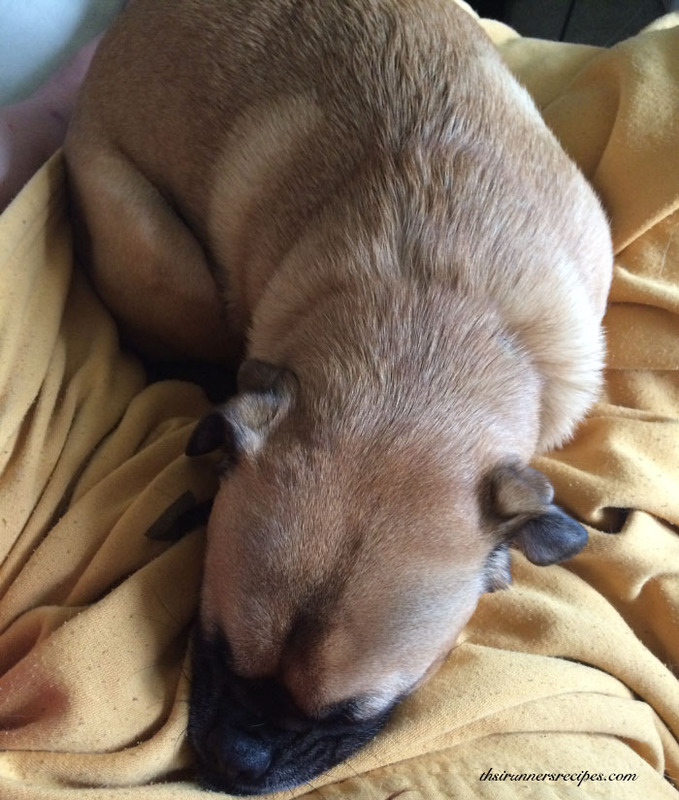 And yeah, Charlie sleeps all the time and it makes me jealous of the pug life. You should work at a running store so you can share your wealth of knowledge with even more people! I got a gait analysis done about a year ago and found out that I slightly overpronate. I was wearing Brooks shoes at the time (don’t know what style) and I noticed that I was having a lot of knee problems. As soon as I switched to my Asics, my knee problems went away. Thank you! I’m glad you found that Asics work for you! thanks for sharing this! i was never totally sure of the difference between the two and the implications. next time i go to buy new running shoes, i’ll have mine checked for me! I’m glad you enjoyed this! A gait analysis really can help, as can just watching your own feet as you run and seeing what stands out. This always confuses me and I can never remember what they running store people told me but I know I have a high arch and it puts pressure on my achilles, so I wear insoles. They have really saved me… I wear Brooks glycerins or Brooks ghost shoes most of the time and they work great with the insoles I use. I feel your pain on the high arches – I’m glad you were able to find shoes and insoles to help you out! I pronate just slightly, but not much at all, and I have been told Im in that “safe range”. But back about 7 years ago I had orthotics. After I came back to running after hip surgery I stopped wearing the orthotics and was able to transition to the pure flows, which I love! I rotate between those, the pure cadences, and pure connects. I am thinking about trying something more supportive at some point to add to the mix, but haven’t quite figured it out. The pure flows are such a great shoe! That’s amazing that you’re in the safe range for pronating. I am one of the rare few that supinate. I have had good luck with Altra Torin, Mizuno Wave Riders, and the Brooks Ghost. I supinate as well – it’s hard to find good shoes because so many are made for pronators, but it sounds like you’ve found your match! I have suuuuper high arches but I pronate on my right foot. Yep, just on one foot. That makes it so easy to buy shoes. NOT. But anyway, I wear and have almost always worn Asics Nimbus. They’re my Cadillac running shoes. For racing I wear New Balance 1400s. Just one foot? Our bodies are so weird. One of my feet is a full size bigger than the other, so I feel your pain a bit about buying shoes. I’ve heard such good things about Asics Nimbus and they look so cushy! Thanks for taking the time to write these articles. I have had trouble with my feet. I have very flat feet, and have been told that I am an overpronator (after gate analysis in a shop). 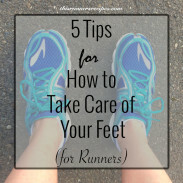 I have had plantar fasciitis which stopped me running for over a year. After a lot of trial and error, plus some self directed diagnosis. I think the problem is that I am a moderate overpronator on my right foot, and an underpronator on my left foot. So I think that I am in trouble when it comes to shoes!! I am currently trying some Hoka One One Vanquish 2 shoes. They are meant to be neutral, but have a good midsole, with a low heel-toe drop and good overall support. I hope that they will help me escape further injury. I’m glad you found this post helpful and were able to find good shoes to overcome PF. Neutral shoes are excellent for most runners, since they don’t force your feet into any give position – which can cause injuries like PF, especially if there’s different levels of pronation in the feet. I’m a huge fan of low drop shoes for most runners since they let feet follow their biomechanically patterning. In fact there is no word over-pronation. Your foot either inverts, or everts,. Too many stores put people in corrective shoes that really don’t need them. keep in mind when buying shoes. First have your foot evaluated in it’s natural state. Barefoot while running. Then have it evaluated in the shoe. Make sure when you look at videos it isn’t the shoe that is moving to the medial. Foot shape has very little to do with shoe choice. Foot and leg performance does. There really is no quantitative measure of what is too much pronation. I am the most flat footed person you will see. Yet I run in neutral, zero drop shoes because I am a midfoot striker therefore already past where any eversion can take place. Correcting gait, leg position and foot strike is the best way to allow people to run without pain and less injury. Corrective shoes (in most cases) are like taking an aspirin for a brain tumor. The pain may subside but the issue is still there and will eventually result in some sort of trauma. At our store every customer has their form evaluated and worked on to correct the problem at the source. If your store isn’t willing to do that. Find another. Thank you for your input. 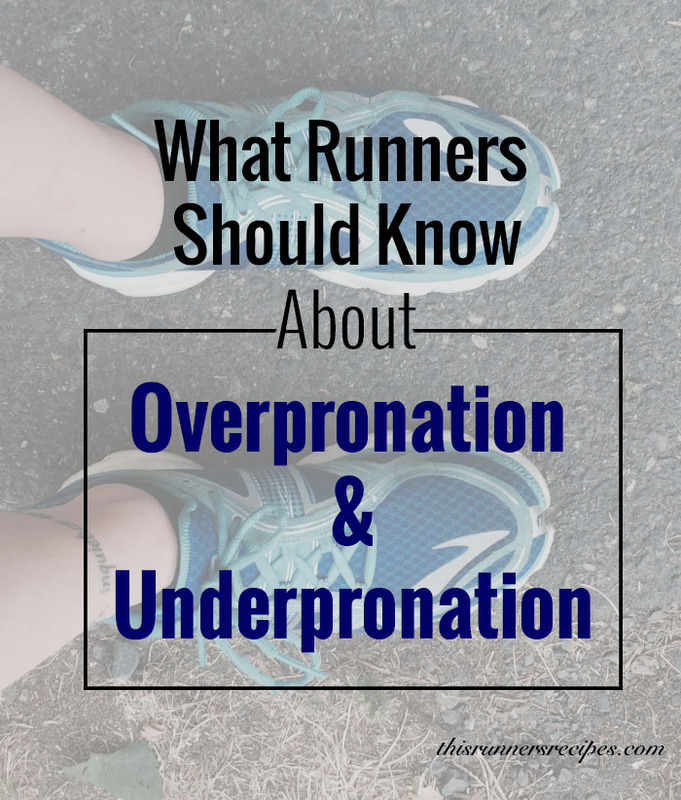 Overpronation is a term commonly used by running magazines and the community. I recognized that invert and evert are the linguistically correct terms, but since the colloquial terms are what many people are familiar with. I am hesitant to recommend via a blog medium/virtual medium to runners about correcting gait, since altering your natural footstrike can lead to injury just as much as a poor foot strike. 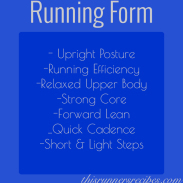 Do I think that runners should work on finding a safe, efficient running form? Yes, but many experts in the industry posit that there is not one ideal footstrike. While overstriding, stomping, etc certainly decrease efficiency and lead to injury, midfoot strike is not necessarily better, nor should runners alter their strike without professional guidance (Sources: Matt Fitzgerald, 80/20 running page 86-88; Martiz Fitz Huber: http://www.outsideonline.com/2055071/trouble-running-form#article-2055071 – the primary example being Dathan Ritzenhein’s prolonged series of injuries after he attempted to alter his footstrike). Arguably also, altering running form too much can decrease one’s running economy (again, Matt Fitzgerald). Corrective shoes can have issues, but I firsthand have seen athletes attempt to switch to neutral shoes and experience injury. The need for individual runners to choose the shoes best for them was reinforced by both of my coaching certifications (RRCA and Run-Fit by Dr. Jason Karp). Thank you again for your input – I do appreciate hearing another opinion on the topic. I’m 59 just started running 2 months ago. I ended up buying New Balance, Asics, Saucony and Minuzo shoes.. can’t recall the exact models. . But I plan to try them all out. I would think also the terrain will make a difference in which shoe you wear for each run .esp if you are running races. 4 years ago I had plantar fasciitis which I acquired due to a stint on prednisone which sent me into a pair of poolside flip flops due to swelling of my feet. For 3 weeks I wore these flip flops everywhere and once I was off the prednisone the PF reared its ugly head. Podiatrist #1 told me (without ever observing my gait) that because I had PF, it meant that I over-pronated. I was told to wear a specific brand of inserts and that I had to wear them the rest of my life. 18 months later, PF is still there as strong as ever, along with a new problem. Peroneal tendonitis. Obviously my feet were being thrown to the outside too much, but there was no arguing with Podiatrist #1. Enter Podiatrist #2 who took me out of the inserts so that the peroneal tendonitis could heal up. Voila! PF also disappeared within two weeks. I mean GONE. This doc also insisted however, that even though I have a normal arch (one being almost high), that I needed arch support once I was healed. Enter the dude at the running store, who recorded my gait from ground level, walking away from and back towards the camera both barefoot and in a shoe. He shows me the recording and neither one of us see any over-pronation, but right foot looks as though it supinates a bit too much. At this point I wanted to strangle both Podiatrist #1 and Podiatrist #2. Just to be certain I asked my physical therapist his thoughts. He concurs. No over-pronation. So now I am in Mizuno Waver Riders (men’s because of my wide foot) and it feels as though everything is almost back to normal. It appears that what really is happening with me is that my feet point outwards which makes my medial ankle bone more prominent from the rear, but my arches are actually pretty strong and do not collapse down. Please make sure whomever “analyzes your gait” records you and can show you solid evidence of over or under pronation. Thank you for sharing your experience and advice, Dawn! That sounds so rough and I’m glad to hear that you uncovered the problem and found a solution! Hi – I overpronate and have not been able to find a shoe that is good for me. I’ve had analyses done in running shoe stores. My questions is I have orthodics and am wondering if wearing orthodics and stability shoes is overkill? If you orthodics should you use a neutral shoe? Thanks. Hi, I am a 37 year old amateur runner from Mumbai, India. I got a gait analysis done at an ASICS outlet. The results were a bit strange. According to the results, I was also heel striking. What kind of shoes will be helpful for me? Hi! I would recommend getting customized orthotics to fit the unique build of your feet and putting them into neutral shoes – that way, your left shoe is neutral, but your right foot will have the support from the orthotic to fit the overpronation. As for heel striking, it’s really not that big of an issue – some runners do it naturally, and there is no idea foot strike.